Many people perform acts of kindness in silence. Maybe that's a mistake. With so much evil in the world, we need to counterbalance it with good. A teenage girl named Rebecca Schofield discovered the perfect antidote. After being diagnosed with terminal brain cancer she created her bucket list. 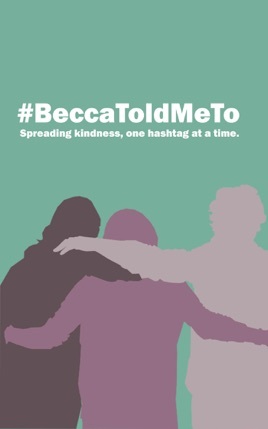 She asked the world to perform random acts of kindness and share them on social media with the hashtag #BeccaToldMeTo. The world listened. This book was created with full participation of the family and net proceeds are being returned to them. For information on purchasing the Paperback online and in stores, please visit the website.